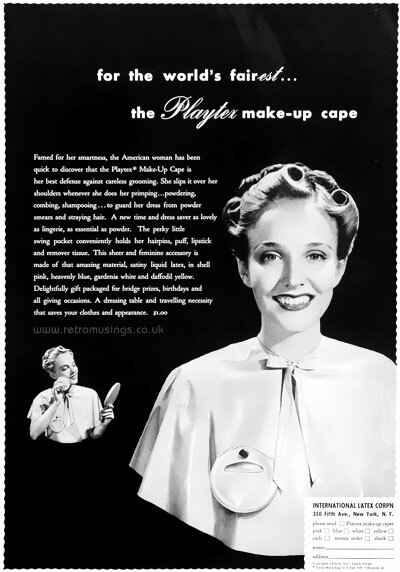 These ads for Playtex Makeup Capes date from 1939, and were used into 1940. They probably came in very useful, considering the amount of cold cream and face powder in use at the time! 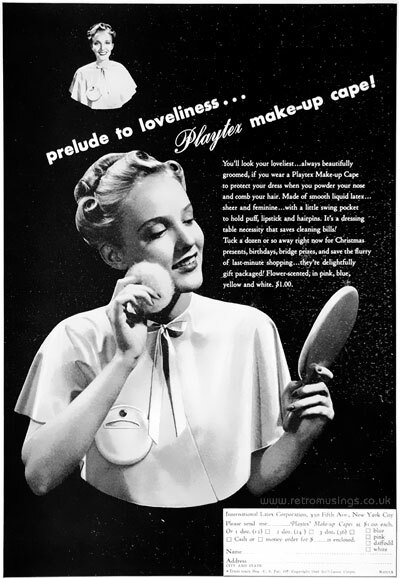 Pro-phy-lac-tic ~ Hair Care Adverts [1945-1949] "Jewelite"